I’d like to say they ‘had me at hello’ but frankly they did NOT. As the summer winds down, it’s interesting to see how I’ve warmed up and ‘attached’ to this show like beach sand clings to a sunscreened bod. The media maverick in me LOVES dialog snippets like this week’s pushback from lead character Will at the ‘weigh in’ scales, “I just don’t want to be infected by this crap!” (good luck with that in our media culture, baby) But as a writer, my HUGE hurray is for getting inside the skin of characters and creating a solid, relatable piece of work. 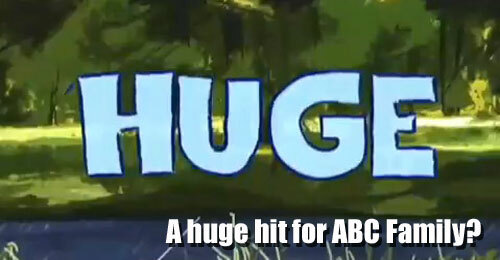 I’m thrilled to see Huge has taken the risky road of taking their TIME to develop characters that aren’t flat cardboard cutouts to be crammed into :42 timeslots with tidy resolutions and a cliffhanger seeded for the next week. It’s a different vibe that for once favors substance OVER form, and fearlessly dips into the teen emotional tank to tap into self-doubts, life stories and situational baggage that each one of us carries through the world as HUGE parts of our personality, regardless of our appearance. Reminds me of that old adage, “when you point a finger three are pointing back at you”… whether it’s about word choice, attitude, hurt feelings, friendship, rejection, romance, or appearance, it’s all jumbled into a poignant snapshot of the human condition universally. The show’s pace is a refreshing shift from the ‘over the top’ antics and stereotyped personas…it’s more like a titillating page-turning novel that makes you jump ahead to the next chapter just when you promised the light was going out for the night. Likewise, characters that perpetually annoy me like the abrasive drill sergeant-like trainer, Shay make me realize archetype doesn’t match the show’s whip-smart ability to add depth and complexity to a character so I KNOW there’s ‘stuff’ bubbling beneath the surface. Sure enough, just about when I’m ready to write off a character as a ‘loud-mouthed loser’ or spiteful meanie, there’s a softening of the edges and a window on their world wiped clean. I’ve learned to just ‘hold’ as we say in yoga, and ‘wait it out’ without fast-forwarding to judgment. Now the question is, will the network do the same? As this Open Letter to the network stated so well, these things take TIME to flourish and need nourished beyond a quick ‘slap it up there for the summer and see what sticks to say we tried it’ TV executive approach. I’ve seen this happen all too often with shows that try to create something different…that try to challenge our heads and hearts with compassion, humor and tolerance of the human condition in raw and real ways. The character development in Huge reminds me of shows like Once And Again (axed) or the new Parenthood (a hit ensemble cast so far) that portray families with internal landscapes where you cheer for their growth over time, see bits and pieces from your own reflection, and learn about life’s foibles, injustices and triumphs along the way…that’s what makes for solid, engaging entertainment. I was kinda stunned. Not my issue? Huge is pushing the envelope to get traction en masse, but mainstream media is stuck in the mindset that it’s a “fat camp.” Really, people? That’s like saying the TV show MASH was about the military, or the film Cocoon was only for senior citizens. Let’s be clear: The show is a universal snapshot that all ages and stages can relate to on some level at any given point in time. It’s a vehicle for ‘issues’ to slowly eke out, and the camaraderie among the campers AND struggling staffers appears to be unified in an unflinching ‘us vs them’ representation of a world outside the camp in our larger culture that’s demanding, harsh, stressful and unyielding with expectations. Who are those ‘thems?’ Well …they’re US. Everyday people in society projecting the shoulds and coulds onto others, whether it’s via one to one glances or mass media blasts of appearance-based cues. Are YOU contributing to the toxicity of that landscape? Do you bodysnark or show disdain for ‘too’ _______ (thin/fat/tall/short/perky/quirky/freaky/geeky/dumb/smart) insert judgment du’ jour? Think on it. Back atcha with Part Two. Meanwhile here are some of the video clips and talking points to prompt you to give it a view and chance. You may be surprised how fast you see yourself in this pop cultural mirror. “…Ian expresses his fear of disappointing his parents because they seem to have high expectations for him to change his body. Who puts the most pressure on you when it comes to your body image? Jess Weiner is an author, self-esteem expert and lives a HUGE life by helping girls around the world feel more confident. 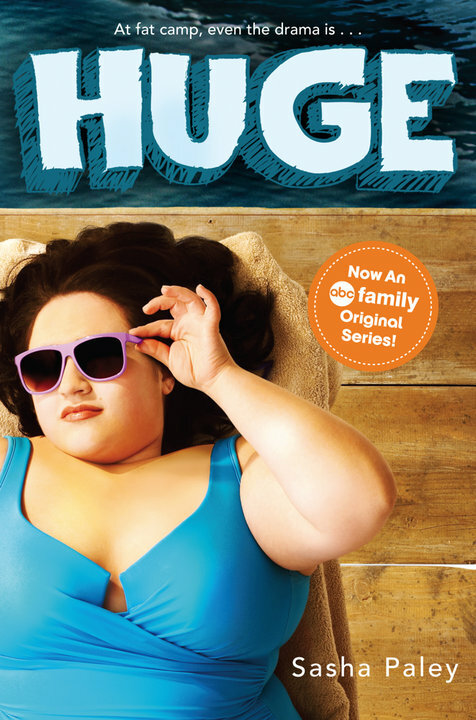 Here’s Jess Weiner’s interview with Nikki Blonsky (clearly her statement about getting invested in the characters rather than the weight focus holds true for me, mission accomplished) I’m not the only one pleased with the direction so far, here’s a roundup of reviews from mainstream media on MetaCritic. PigtailPals: Huge Week 5, Week 4, etc. Amy – thank you as always for your thoughtful and valuable insight. I promise you I had nothing to do w/ that Seventeen strategic placement BUT can I just say – that it was a lovely moment for me – screening the episode in advance (while flying on a plane) and realizing that I WROTE that Body Peace Treaty the characters were signing and now I am involved w/ a show that is featuring those characters signing the BP treaty. I had no one to share it w/ in flight but I was so super excited to see my little hand on this piece of pop culture. It’s the small steps of change that lead to big results. XO Jess and PS – I too hope the network gives this it’s fair shake and greenlights season 2!! *I* (yep, unbelievable, I know) was actually a Conde Nast ‘collegiate/guest editor for Mademoiselle’ back in the day. Yah. Go figure. I even flew out to NYC to see what it would be like to work for “the magazines” and literally recall a ‘turn on the heels and run’ moment bolting out the door. I was sooooo starry eyed and journalistic hoping to be an ‘agent of change’ and to this day recall the massive logos on each floor and the slam shut metaphor with the wham of the elevator door closing.